In the spring of 2005, Jawan Carter, Darrin Govens and D.J. Rivera announced within weeks of one another that they were coming to Saint Joseph's. 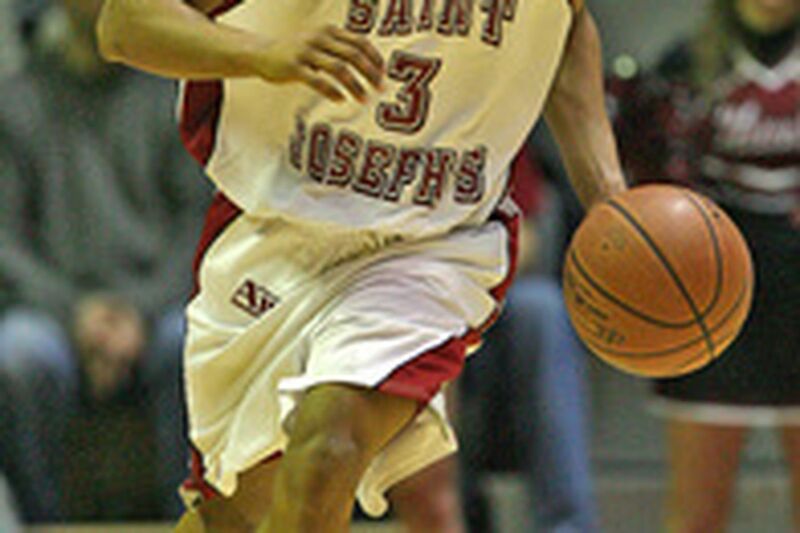 All were finishing their junior years in high school at the time, so St. Joe's backcourt looked set for years to come. Well, it might still be set. It just won't have Carter, who plans to transfer to Delaware after one season. He started 26 games and averaged 25.7 minutes, most among the freshmen guards, a group that included Garrett Williamson, who committed after his senior season at Lower Merion. Carter, who grew up in Chester and played at Tatnall School in Wilmington, is the leading scorer in Delaware high school basketball history, with 2,464 points. Carter averaged 29.4 points and 7.0 assists as a senior when Tatnall won the state championship, and he was named the state's player of the year. Just as the ball was about to be tossed up for his first St. Joe's game, Carter was jumping up and down in anticipation. St. Joe's, he said after the game, was where he wanted to be, and he was incredibly excited to be there. "We can all play together," Carter said when he committed. "It won't be like we're competing against each other. We'll be all one big family." During a season in which Carter averaged 7.6 points while shooting 37.4 percent for a Hawks team that went 18-14, something obviously changed. Hawks coach Phil Martelli had little patience for any of his young guards. If one made a mistake, another usually replaced him by the next whistle. Perhaps, that wore on Carter, or maybe, with Iowa State transfer and Philly native Tasheed Carr eligible this coming season, he saw the guard rotation getting more crowded. All the transfer paperwork has not been done, so neither Martelli nor Delaware coach Monte Ross, the former Hawks assistant who just finished his first season as UD, would comment about the transfer. Carter could not be reached.